Murielle Ahoure heads the world list for women's 60m with 7.03 and the 26-year-old boasts no less than five of the top 10 times this season. With her 6.99 lifetime best surely in danger, she will be determined to improve upon her global silver medals from this event’s last edition in Istanbul two years ago and from Moscow over both 100m and 200m outdoors last summer. 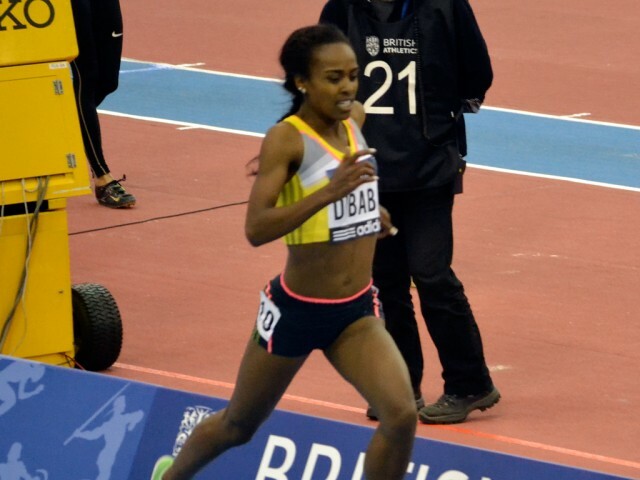 Regina George has been in consistent form on the Indoor circuit in 2014. She won the women’s 400m at the British Indoors in Birmingham last month, putting herself in the frame for a Sopot medal, after coming from behind in the home straight to beat Jamaica’s Kaliese Spencer in 51.78, the third quickest time in the world this year. The world 800m champion indoors and outdoors is undefeated this year and leads the 2014 world indoor lists with his African record of 1:44.52 set in Birmingham last month. 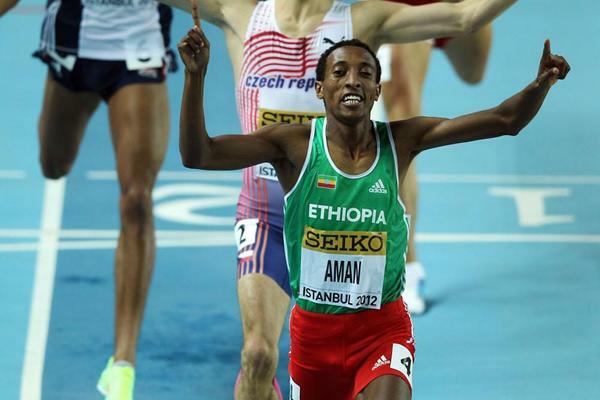 The Ethiopian, who will be defending the crown he won as a junior in Istanbul in 2012, will start as clear favourite in Sopot. The in-form South African Andre Olivier and the Polish pair of two-time European indoor champion Adam Kszczot and Marcin Lewandowski will provide competition. Morocco’s Abdalaati Iguider, the London Olympic Games bronze medalist and the reigning World Indoor Champion will be in Sopot to defend his title won in Istanbul 2012. However, Ilham Tanui Ozbilen (Turkey) and Mekonnen Gebremedhin (Ethiopia), the silver and bronze medallists from Istanbul, and Djibouti's Ayanleh Souleman presents formidable opposition. Djibouti's world 800m bronze medallist from Moscow 2013, Ayanleh Souleiman, prefers the longer distance and has it all to do in Sopot. After a terrific 2013 outdoor season, he has the second fastest 1500m of the winter, just behind Morocco’s Mohamed Moustaoui. Hagos Gebrhiwet, the Ethiopian world 5000m silver medallist, has been untouchable indoors this winter and will go to Sopot as favourite in the men’s 3000m. After running a world lead of 7:34.13 in Boston, he again showed his closest rivals including, compatriots Dejen Gebremeskel and Yenew Alamirew, a clean pair of heels in Birmingham a week later with a dominant running in the final lap to cross the line in 7:35.74.